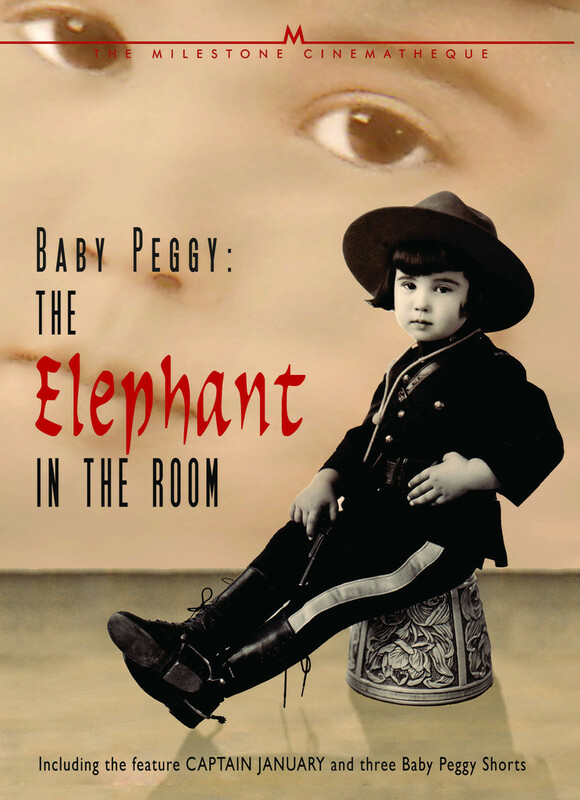 The Elephant in the Room documentary about Silent Film star Baby Peggy is a must see for those interested in early film. Diana Serra Cary (Peggy) was eighteen months old when she made her first silent movie. Her father was a stuntman in westerns her mother a sometime extra. Diana was discovered by Fred Fishback a director who was impressed by a younger than two year old sitting on a stool in a room full of strangers waiting for her mother. She didn’t fidget, she didn’t cry, she didn’t wander around…her mother told her to sit quietly while she attended to business at the studio. And that is what Peggy did, she sat. For Fred she was perfect, a kid that took direction. What more could one ask for. Baby Peggy one of the first child stars was rivaled only in popularity by four years older Jackie Coogan ‘The Kid’ (Uncle Fester on the Addams Family). Diana Serra Cary (Baby Peggy) turns 97 years young today. These past years she has graciously shown us through her writings, life in Hollywood during those pioneer years in the infancy of film making. She hasn’t acted in years but after reading her books, writing is definitely where her talents lay these days. 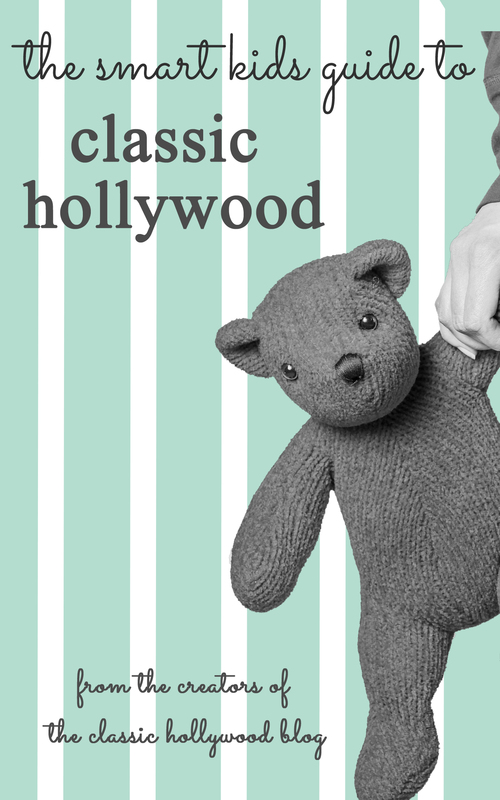 During a resurgence of interest in early Hollywood during the 1970’s she wrote: Hollywood’s Children (1978), Whatever Happened to Baby Peggy (1996), Jackie Coogan -The World’s Boy King (2003). Diana’s first book, The Hollywood Posse (1975) is about her stuntman father Jack Montgomery and all of those cowboy stuntmen at the turn of the century. No more cattle drives, fenced in range, where does a man on a horse go with a family to feed…Hollywood where the most popular films being made were westerns. You can’t make a western with a green horn; you need talented, experienced horsemen. This is a compelling story not only of Jack’s life but is telling about Baby Peggy’s early life and the struggles of everyday actors and extra’s trying to make a living in early Hollywood. Carole Lombard ~ Supernatural (1933) Happy Birthday Carole! MGM Studios 90th Birthday April 17th/18th tribute on TCM- make sure to watch their lineup. Boy wonder, Irving Thalberg (husband of Norma Shearer), was known for his genius with money. Able to cut costs much to the chagrin of many extravagant directors, Thalberg was able to show Louis B Mayer he was the man for the job- something of which Mayer would be continually reminded and later resent. Thalberg also took a hand in ensuring success at the box office with diligent screenings, and exit polls at every film the studio produced. 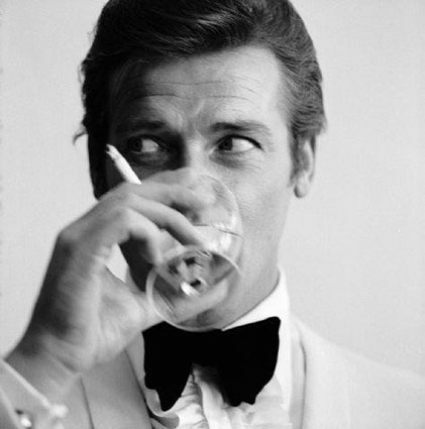 Continually driven by public sway, films would often be modified to please the public- a practice still in effect today. Louis B Mayer on the other hand while responsible for the studio’s success was also responsible for many of its failures- usually at his own hand. Bringing doom and a squashed career to Erich von Stroheim, John Gilbert and Mae West proved he could destroy them as easily as he created them. His hunger for power and his need to display it resulted in the Hays Code, as well as the creation of the Academy- wanting more reasons to get credit where credit was due. In fact Mayer alone held Veto Rights over the Oscars until 1941, until he made the mistake of passing over an astounding performance by Bette Davis, upsetting the Screen Actors Guild. After that measures were taken to make the Academy fair, with formal nominations and a secret ballot for final vote. The Grand Patriarch, Mayer would often comfort and punish his “children” as necessary. Ruined careers was nothing compared to the protection you would get if you were favorite child, like Jean Harlow. In 1932 when Jean arrived home and found her husband had committed suicide the first person she called was Mayer, who immediately went to her, comforted her, and very quickly covered up the mess so her career could go on untainted. 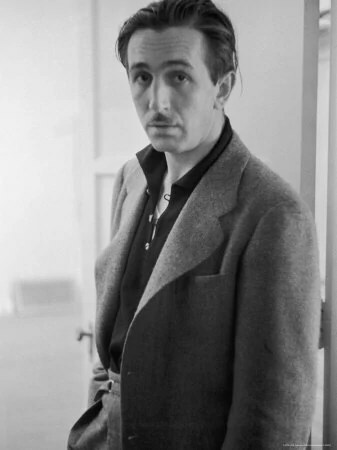 After leaving his failed animation company in Kentucky, Walt Disney made his way to California, determined to start again. Like all people Walt had his share of tries before he finally succeeded. Much like Thomas Edison, he went through some near misses before finally landing Mickey Mouse as Steamboat Willie. Of them we’d find Oswald-the long-eared mischievous bunny, a series of live action and animated Alice in Wonderland shorts (which were actually quite successful). Incidentally animators often had a few tried before finding something that worked. Another good example of this is Jim Davis who had played around with the idea of casting a few comical fleas as his main characters, before he finally landed on Garfield. So in honor of the fact that we all sometimes glimpse triumph through the fog of failure, we are so grateful to Walt Disney for not giving up, and for knowing he had something to offer the world, even if he didn’t know what it was. America’s Sweetheart passed away in the spring of this year at the age of 91 and America barely blinked an eye. 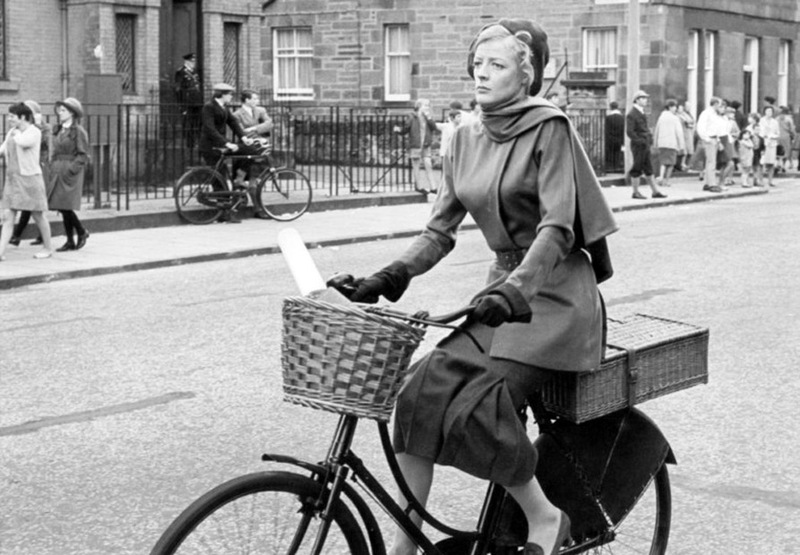 Her passing was only a whisper of a blip on the entertainment or news media radar. It isn’t even acknowledged in the Memoriam section on the Academy of Motion Pictures Arts & Sciences website. This bothers me. I only discovered Deanna Durbin in January of 2012 let’s put it this way I have been watching, studying movies for over fifty years, thousands of movies…how could I have missed seeing at least one of her movies in all of this time? How could I have never heard her name? How come Rochellelynn (who hasn’t watched movies as long as I have) knew who she was and I didn’t? Thanks to the plethora of information on the DeannaDurbinDevotees website I am now educated about Durbin and a member of the Devotee’s, and I am educated about the treatment she received by the last dying breath of the studio system the last three years of her Universal-International contract. At the 11th Annual Academy Awards held on February 23, 1939 Deanna Durbin received a Juvenile Academy Award for her significant contribution in bringing to the screen the spirit and personification of youth, and as a juvenile player, setting high standards of ability and achievement for the year 1938. Some of her films as well earned nominations in various categories by the Academy. Deanna Durbin was also slapped a lot in her movies; once by Helen Parrish in Three Smart Girls Grow Up. Once by Gale Sondergaard in Christmas Holiday, and Elizabeth Patterson really gave her a smack across the chops in Lady on a Train. I am hoping that on March 2nd 2014 the 86th Academy Awards show doesn’t slap her again by ignoring her in their yearly: In Memoriam tribute. I am hoping that whoever reads this Post will visit the Website of the Academy of Motion Picture Arts & Sciences and urge them to remember Deanna Durbin along with her fellow actors during the broadcast.